The honeymoon for nostalgia-fueled Kickstarter video game projects has long since passed. Older games and genres from the 80s and 90s inspired a treasure trove of multi-million dollar projects, to varying degrees of success. Despite the digital gold rush, I never expected one of these Kickstarter fruits to bear a new ToeJam & Earl game, let alone it be quite good. ToeJam & Earl: Back in the Groove is the fourth game in the bizarre but strangely memorable 90s series. But it’s also a triumphant recreation of the 1991 original, which has all the early trappings of a solid roguelike dungeon crawler, that happens to star a pair of funky aliens. While some gameplay elements are quite frustrating, Back in the Groove is dripping with 90s charm, lots of replayability, and fantastic co-op. Metroidvanias and roguelikes are two of the most overused genres, and buzzwords, in indie gaming, but it’s still a genre I tend to love. Dead Cells is anything but a tiresome retread, pulling the best elements of both genres into an instantly likable neon art style of colorful death. The level designs offer the perfect mixture of procedural generation and carefully crafted locations, while featuring uniquely branching paths that offer compelling choices and new locations to explore without artificially lengthening the game. The classic 2D combat supports a multitude of playstyles by equipping multiple weapons and subweapons. I can succeed as a trap-deploying coward, a life-stealing hack and slasher, or a lightning whip-wielding fiend. Dead Cells is a modern roguelike in that the progress you make carries over in the form of collected cells at the end of each level, letting you unlock new weapons and talents for future runthroughs. Death is still painful but much more manageable, and often exciting as you can experiment with different weapon loadouts and new abilities. Much of the world design is built to respect the player’s time, keeping levels relatively short and sweet, and even including frequent teleporters at the end of any dead ends. Dead Cells is always challenging but rarely frustrating, and that’s a very fine line to walk in this genre. For 2D action game fans it really doesn’t get much better than this. The metroidvania and roguelike genres have become overused buzzwords among indie games (see also the newly coined ‘roguevania’). Action-platformers have been refined and molded over and over again just in the last few years. It’s easy to roll one’s eyes every time a new one is released. But forget all that genre cynicism, because Dead Cells is fantastic. 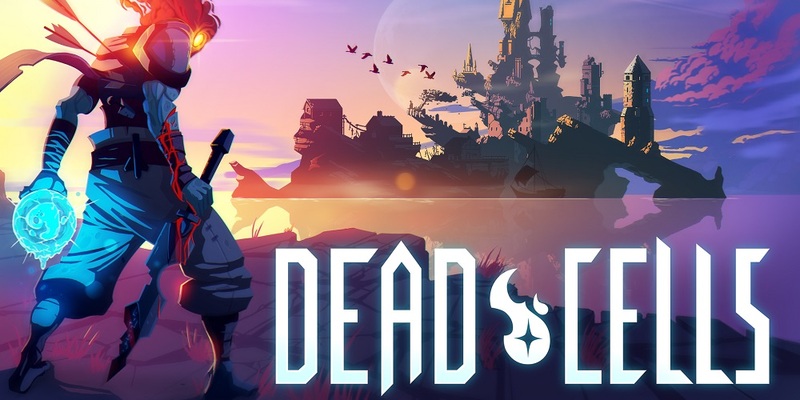 With an evocative art style, buttery smooth combat, and perfect level of progression, Dead Cells is easily the most satisfying action-platformer since Rogue Legacy. “Growing up I’d read articles and see pictures in Nintendo Power about behind-the-screen game development,” says Andrew Aversa, lead designer and programmer at Impact Gameworks, who recently released roguelike dungeon crawler Tangledeep. “I thought it was so interesting, but that fell by the wayside.” Though games were his first love, it was music, specifically game music, that captured his attention in his formative years.